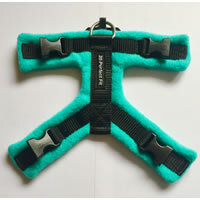 The new Jade colour top is now available for the 20mm Perfect Fit Harness. Avaliable in small, medium and large sizes. 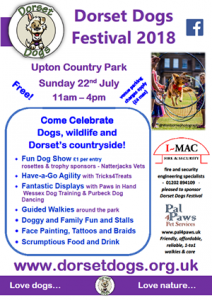 Dorset Dogs have organised a fun day again this year, at Upton Country Park, Poole. 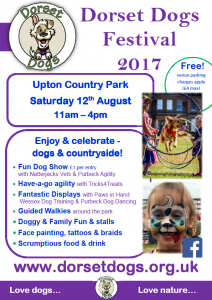 The festival includes a dog show and fun ‘have a go’ activities for you and your dog, including “have a go fun agility” with Tricks 4 Treats throughout the day. The event takes place on Sunday 22nd July 2018 between 11am and 4pm at Upton Country Park, Poole (BH17 7BJ). As part of Tricks 4 Treats, Your Dogs Needs will be there all day (look out for the red gazebo), with a selection of goodies for sale for your dogs. Please come and say hello and meet the team and why not have a go with Tricks 4 Treats on their fun agility course. 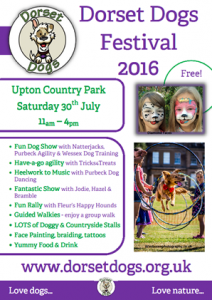 Dorset Dogs have organised a fun day again this year, back at Upton Country Park, Poole. The event takes place on Saturday 12th August at Upton Country Park, Poole (BH17 7BJ). For further information please take a look at the Dorset Dogs Festival page. The event takes place on Saturday 30th July at Upton Country Park, Poole (BH17 7BJ). 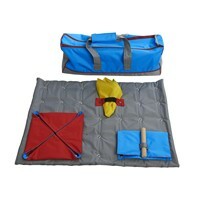 The Buster Activity Mat is a new innovative activity toy for dogs. Activity Mat allows the dog and the owner to work interactively and to challenge and stimulate the dog mentally at the same time. The basic Buster Activity Mat has 35 press studs placed 10 cms apart. You can attach different tasks to the mat, most of them with varying levels of difficulty. 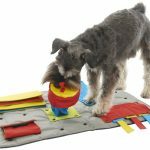 The Buster Activity Mat Starter Set is a great way to get started with the Activity Mat range of interactive toys for your dog.